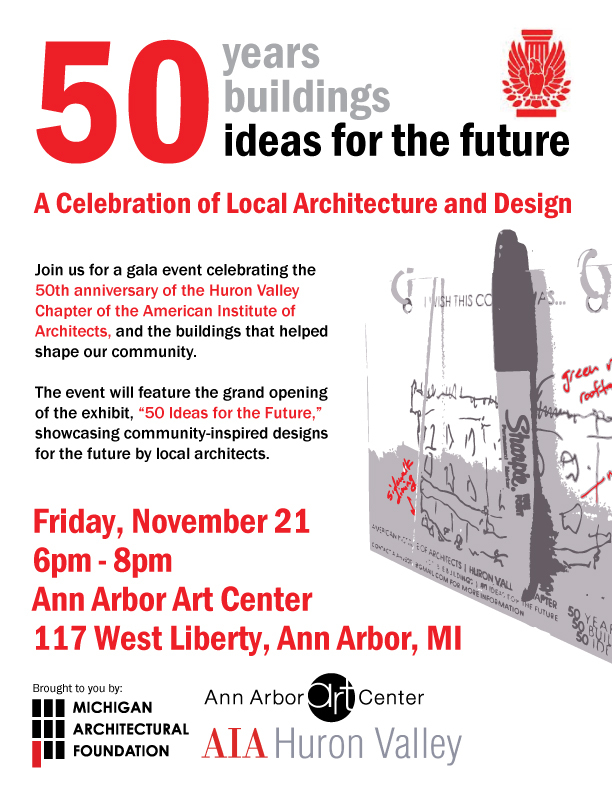 Join us at the Ann Arbor Art Center for a gala event celebrating the 50th anniversary of the Huron Valley Chapter of the American Institute of Architects, and the buildings that helped shape our community! The event will feature the grand opening of the exhibit, “50 Ideas for the Future,” showcasing community-inspired designs for the future by local architects. Light food and beverages will be provided.